Clear braces are popular for just that reason – they’re clear and go largely undetected, so much so that many will refer to them as invisible braces. 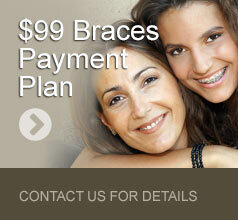 If your orthodontic concerns are only for the front teeth then clear braces could be appropriate for you. In order to get started with clear braces, we first take a mold of your teeth, send these impressions/records to a lab where they create your aligner. Throughout the treatment period, typically starting at about the 3-week mark, it’s necessary to get a new mold of your teeth and a new aligner because your teeth will have shifted to a point where the original aligner no longer fits your teeth. One thing that many people like about clear braces is the fact that the aligner is removable. This allows patients to remove the aligner when eating and continue to eat the same types of foods that they normally enjoy, whereas with traditional braces, it’s recommended that certain sticky or chewy foods are avoided. The fact the aligner is removable is also important for another reason – the success and speed of the treatment depends on the patient’s discipline to keep the aligner in for at least 20-22 hours per day. 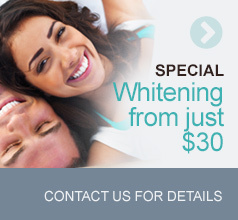 At Forest Green Dental Care we offer MTM Clear Aligners. To find out if clear braces are right for you, complete the form to schedule a free, no-obligation initial consultation.